Residents of a Paris street plagued by Instagrammers, selfie takers and music video crews are asking the city government for a weekend and evening ban to give them some peace. 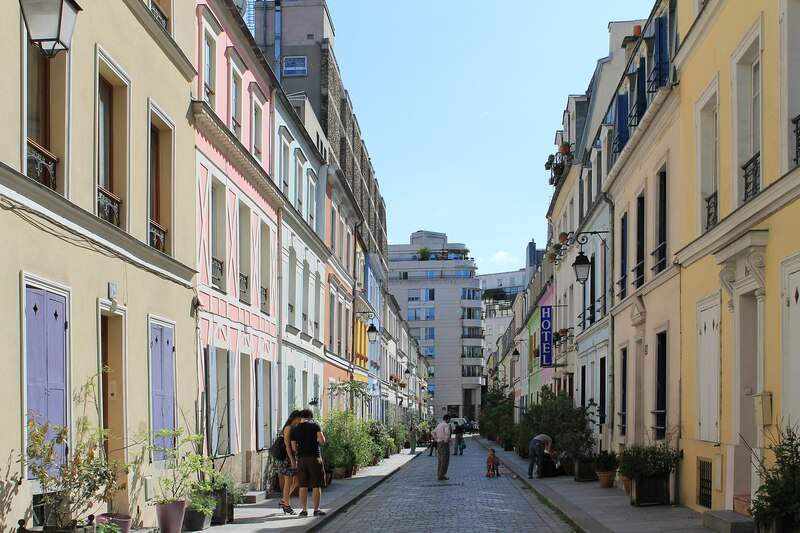 The number of images on Instagram with the hashtag ‘Rue Crémieux’ has reached over 31,000 and those trying to live in the quaint cobbled street have had enough, according to a report on French website Franceinfo. Residents have to not only put up with tourists photographing their beautiful street but with parties of dancers filming routines with their pastel colored houses being used as a backdrop and the blaring music that goes with it. Locals have described the situation as ‘hellish’ and are fighting back, forming an association to petition the local government for road closures at the weekend and during evenings so that they can get some peace. Alternative Instagram and Twitter accounts have been set up to document the ‘S**t people do in rue Cremieux,’ as seen above. The accounts show pictures and videos of dance troupes, fashion shoots, music video crews, endless selfie takers and photographers using the street as though it were a public studio.